For this client we planned and designed a neurophysiological study to investigate so called Aha-experiences elicited by TV commercials. Aha-experiences are generated when a commercial raises a question that cannot be answered by the observer, who is then left alone for a few seconds until the answer is finally provided. They are effective tools to generate high arousal and awareness. An Austrian Food Company named "Neuburger" got their new marketing material tested with a focus on discrepancies between self-report and objectively measured body data reflective of non-conscious affective responses. The design and usability of electronic devices can be optimised by taking neurobiological knowledge and methodology into account. The importance of packaging design is usually underestimated. Together with Essentiel and Euphonix we created a high-end box by taking knowledge about early visual information processing into account to bring a new electronic device successfully to the market. Numerous studies were designed and conducted for the Functional Brain Topography Lab of the Ludwig Boltzmann Society. All studies included data collections in terms of recording brain activities as well as behavioural data. Studies about human memory functions, sensory integration and various clinically relevant investigations were run. Space shuttle flights in space are often used to run scientific experiments where lack of gravity is one of the interesting factors. On such a research mission Neuroconsult was asked to supervise one of these experiments. The layout of a magazine can be optimised if knowledge about the human visual system is taken into account. Publicity Incorporation asked Neuroconsult to bring in neurobiological know-how to improve the impact of one of their magazines. Different colors elicit different emotions and emotions have an impact on decision making. Even though the effect of color on decision making is an already defined topic of interest in marketing, nobody ever investigated whether or not discrepancies between objective versus subjective color-emotion effects exist. In the frame of a new study we know take a close look at conscious AND non-conscious color effects relevant to marketing and advertisement. Colors - Shoes - Shapes: with Startle Reflex Modulation we investigated the effect of colors on shoe boxes and on different shapes. We also tested the concept known as "less is more". Pharmaceutical companies are also interested in early diagnoses of diseases to provide the cure it needs to help people suffering from these diseases. Neuroconsult together with the Ludwig Boltzman Institute for Functional Brain Topography at the General Hospital in Vienna designed and ran a study about verbal information processing in patients with Alzheimer's disease. A follow-up study was run by Neuroconsult investigating patients with Mild Cognitive Impairment (MCI). About 10% of these patients develop the Alzheimer's disease, which is why MCI is in discussion of representing a preclinical stage of AD. The most comprehensive study was about the effect of emotion on the perception of particular products. Does eating ice cream make you happy? 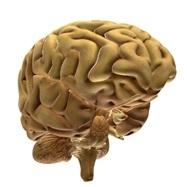 Neuroconsult answered the question for Unilever by measuring brain activities. The impact of emotion during ice cream intake was quantified.